The following Q&A is with David Stremba, INTO’s managing director for North America. INTO is a global education organization based in Brighton, UK. In a recent EvoLLLution article, Stremba pointed out that the majority of international students enrolled in the United States were attending just five percent of institutions. 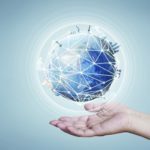 In this interview, he explores that paradigm, discusses the most significant barriers to entry for higher education institutions looking to compete in this marketplace and sheds light on some of the changes and strategies colleges and universities can put into place to become more competitive for international enrollments. 1. Why are American institutions so highly regarded by international students? The United States accounts for 137 of the top 400 institutions worldwide and eight of the top 10, as ranked by ARWU [the Academic Ranking of World Universities]. No other higher education “destination country” compares. In fact, the United States has more institutions in the global top 400 than the United Kingdom, Australia and Canada combined. If students have successful experiences and outcomes at American institutions, their degrees will effectively act as a piece of global currency that will enable them to differentiate themselves, particularly in their home countries, and gain access to better career opportunities. Additionally, the prospect of participating in the OPT program, which will give them experience working within the United States, is extremely attractive and will bolster their resumes and experience. 2. What are the most significant barriers to entry for institutions looking to become competitive in the international student marketplace? There are several barriers, all of which are challenging to overcome. Firstly, most American institutions’ systems, processes, programs and support services are designed for domestic students. International students, on the other hand, have different needs and expectations and therefore institutions must adapt their practices in order to be “international student friendly.” This means everything from food options in the dining hall to the pedagogical aspects of course design and delivery to the provision of acculturation programs. Secondly, most American institutions do not have the knowledge and resources to recruit international students globally. Simply putting up a website and/or participating in a few recruitment fairs in a handful of countries will not produce meaningful results. Institutions need access to major recruitment infrastructure and resources, something no single university can afford to invest in on its own (for example, INTO spends $45 million a year on marketing, recruitment and application processing infrastructure, resources and activities on behalf of our network of 20 university partners). Additionally, universities need to design and implement admissions processes and systems that account for the unique needs of international students. Most admissions processes have been designed specifically for domestic students, often making it incredibly difficult for international students to navigate. 3. Conversely, why should higher education institutions enter into competition for international enrollments, especially for English language programs? First and foremost, our American domestic students must be exposed to global perspectives in the classroom. Educators have an obligation to prepare our domestic students for careers in which they will no doubt need to be able to interact, understand and work globally. Unfortunately, of the United States’ total higher education enrollment of around 20 million, international students only account for 3.9 percent of them, and only five percent of American institutions host 69 percent of the 820,000 international students in the country. We are not adequately preparing our domestic students to work effectively in a globalized economy and society. On the flip side, there is massive, growing demand, particularly in emerging economies, for access to quality higher education. American institutions have a moral obligation to help address this demand and provide life-changing educational opportunities to young people from all over the world. Finally, from an institutional financial perspective, international students generate incremental non-resident tuition revenues which can be used to strategically invest in new programs and services, new faculty and new capital projects. At Oregon State University (OSU), they are using a portion of the incremental revenues generated by our partnership to provide scholarships and stipends to American domestic students for study-abroad opportunities and thereby driving other areas of their comprehensive internationalization strategy. 4. In a past EvoLLLution article, you mentioned that the majority of international enrollments in the United States were held by just five percent of institutions. What are the most successful institutions doing right when it comes to attracting international students? Well, firstly, we need to recognize there are about 30 to 40 institutions that, due to their brand, prestige and global reputation for excellence and quality, are magnets for high-performing international students. Additionally, location certainly plays a role as well (for example NYC, Boston, LA). Big, famous cities provide a unique draw for universities in those places. Beyond those segments, the next tranche of institutions have created key points of differentiation, invested in the development of programs, services, systems and processes tailored for the needs of international students. Using OSU as an example, again, as a result of the INTO-OSU partnership, new English language and pathway programs have been designed at both the undergraduate and graduate levels, new international student support services have been implemented, new systems and processes have been developed and deployed and a new modern international living and learning center has been built. As a result of these tactics, OSU’s profile has been established and/or enhanced in more than 75 countries across the globe. After the first four years of our partnership, OSU’s international student population on campus has grown by more than 250 percent. In short, the competition to attract the best and brightest international students from a diverse set of countries is incredibly fierce. 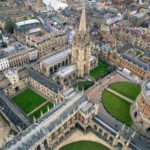 Not only are singular American institutions competing against thousands of other institutions in the country all attempting to attract and enroll international students, they are competing against a multitude of institutions from the United Kingdom, Australia, Canada, Europe, Singapore, Malaysia and, more recently, China. Institutions that do nothing special, unique or differentiated will lose in the global student marketplace. Higher education institutions looking to compete in the international student marketplace need to change their approach to international marketing and recruitment. Admissions systems for international students at most higher education institutions do not meet the unique needs of that student segment. Enrolling large numbers of international students can have an extremely positive impact on an institution’s bottom line, and those funds can be used to invest in and improve the institution. For institutions that do not have a natural cache, it’s critical to develop points of differentiation to stand above the crowd. We’ve been lucky in the United States in terms of attracting international students. Historically, we’ve been able to rely on our nation’s top schools’ reputations and the promise of a Western education to attract the best and brightest from around the world. This is no longer the case. In the past decade, institutions in other English-speaking countries have raised their profiles and — with investments from their governments and increasingly tough visa/immigration requirements for the United States — we’re starting to see our corner of the international student and IEP market shrink. I wonder if you could expand on the idea of processes being designed for domestic students and the need to design for international students. 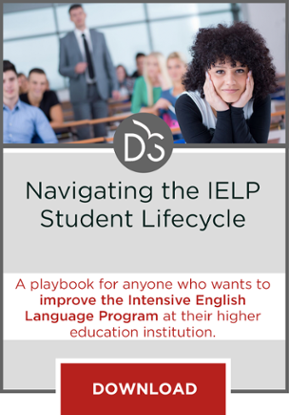 The rest of the article is quite clear and touches on some important issues related to the development of an IELP. I’ll try to address your question. One example I can think of from my own experience is financial aid. When I wanted to apply for financial aid reserved for international students at my institution, the timelines followed domestic students’ schedules and didn’t align with what I was doing for my visa application. Long story short, I wasn’t able to apply in the end. Institutions should, I think, put more thought into the way they design institutional processes/policies. It’s not enough to just reserve some money for international students; you have to make sure they can access it.